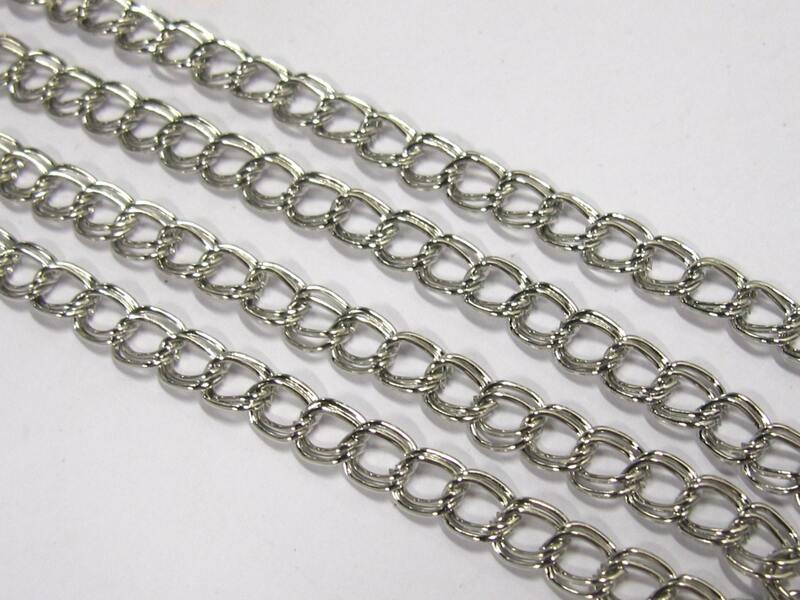 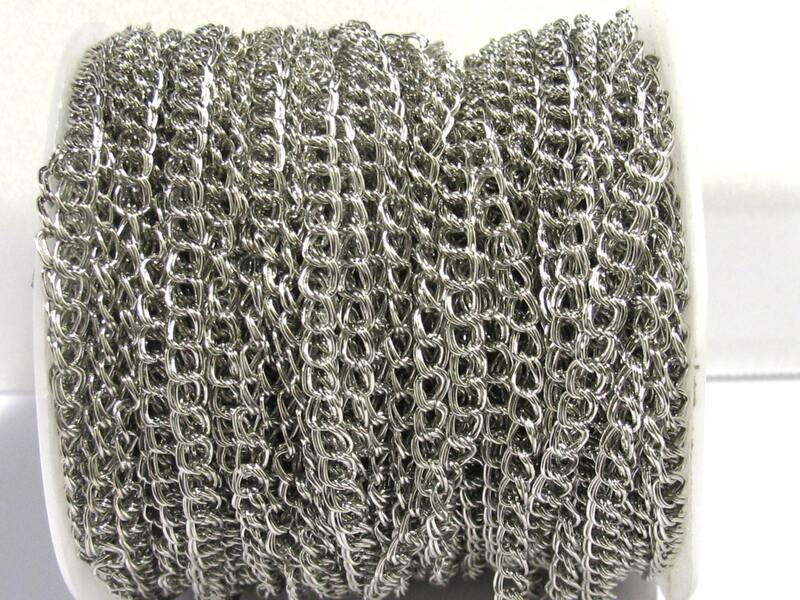 Platinum tone plated double link chains for your jewelry creations / crafts. 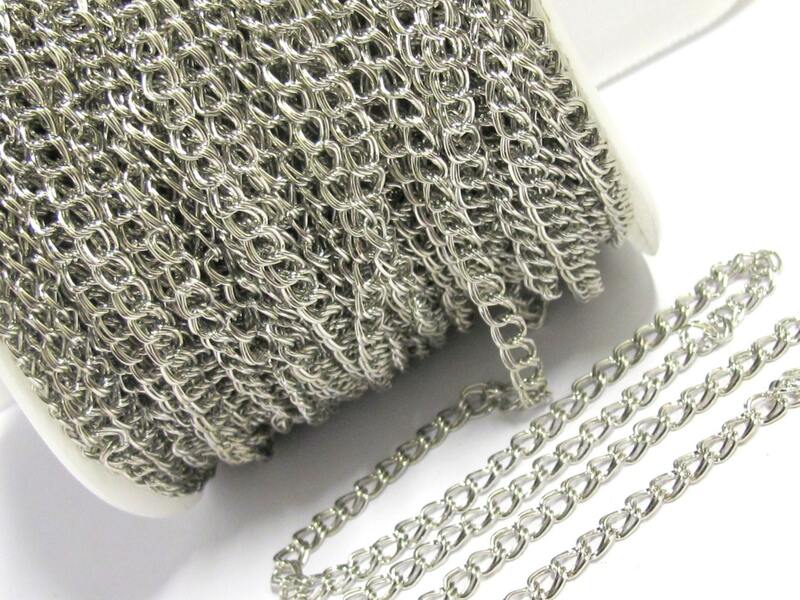 This listing is for 1 foot. 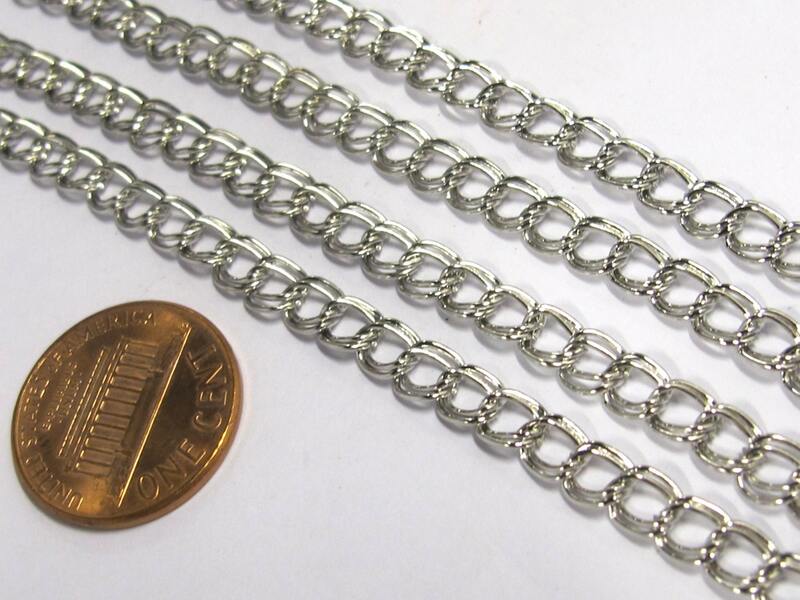 Size - Each link is approx 5 mm wide and 5-6 mm long.